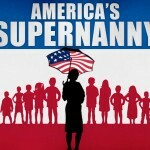 The hit parenting series America’s Supernanny is currently casting families for the next season of the show that would benefit from child/teen expert, Deborah Tillman. The casting team is sending producers to the Atlanta area to find families interested in receiving personalized advice for their unique circumstances. 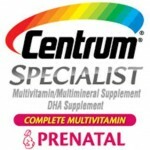 Those who post their narratives will receive a free month’s supply of Centrum Specialist® PreNatal, and will be entered to win 2 tickets to an advance screening of What to Expect When You’re Expecting on May 14th, just before the national release on Friday, May 18. Join Chef Robert Gerstenecker from Park 75 for a screening of Queen of the Sun on the hotel’s rooftop garden. MAMMA MIA! WALKS DOWN THE AISLE OF THE FOX THEATRE! Being the only female in a house full of males can some times be just too much, but when it comes to movies I’m pretty lucky because I get to see a lot of fast paced, action packed releases that moms of little girls often miss out on. It’s official! 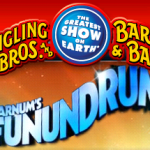 The Ringling Brothers and Barnum & Bailey Circus will be in Atlanta at Philips Arena and I have 4 tickets for one lucky winner. The tickets are good for Thursday, February 17, 2011 at 7:30pm. 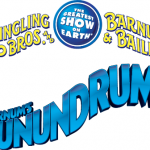 Last year our family had the pleasure of going to the Ringling Brothers and Barnum & Bailey Circus and they are back!